IMOLLO, for Windows and Mac OS, is a communication and information exchange software that gives everyone the freedom to experience easy and efficient file transferring. It was born to make life easier for those who use it. Unlike emails, which have a tendency to catch viruses and with very limited storage capacity, this software is an effective email attachment replacement. It is an easy-to-use system that resembles an online “chat box” rather than a traditional “email box”. The free application allows expeditious and hassle-free online exchange of multiple files by simply dragging and dropping in a “virtual tunnel”. 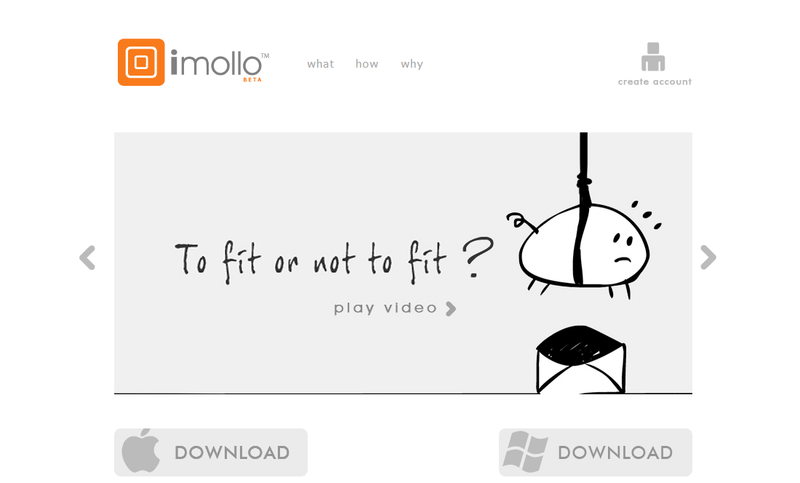 IIMOLLO is very practical, fast and safe and it is very effective in facilitating corporate work. Join them on Facebook and Twitter.